Another B.U.S.C. meeting, another sunny Sunday in Baywood Park, California. 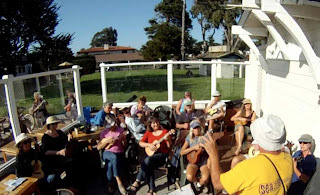 Again nearly forty players attended the strum-fest. 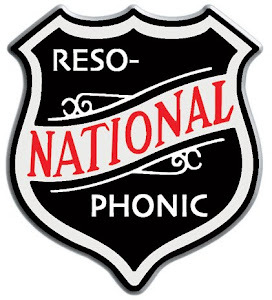 Our next meeting will be Sunday, Sept. 18th, 3pm at the Back Bay Cafe. Below is a list of the songs we played at the last meeting. Add your comments on which songs you liked the best and we'll keep them on the playlist for future meetings. 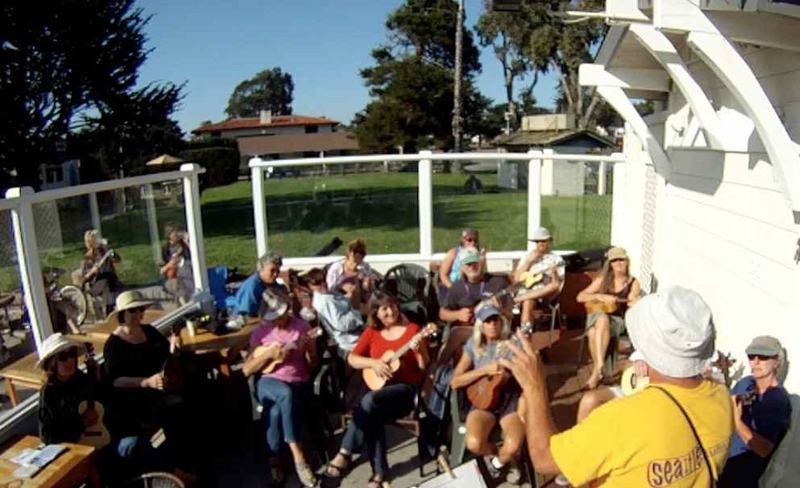 We will also be starting up the Baywood Ukulele Big Band soon. The group will practice at a different day and time. Email me for more details if you are interested and have the time to rehearse.